Canon recently announced the Canon EOS 5DS R and EOS 5DS, breaking new grounds with the highest resolution 50.6-megapixels 35mm full frame CMOS sensor with Dual Digic 6 image processors. The Canon EOS 5DS R and EOS 5DS possess the highest resolutions in Canon’s extensive of DSLR cameras till date. The Canon EOS 5DS R is equipped with the Optical Low-Pass Filter cancellation (LPF), allowing the camera to capture incredibly detailed and sharp images, making it very ideal for landscapes and studio photography, as well as commercial images for large format printing. 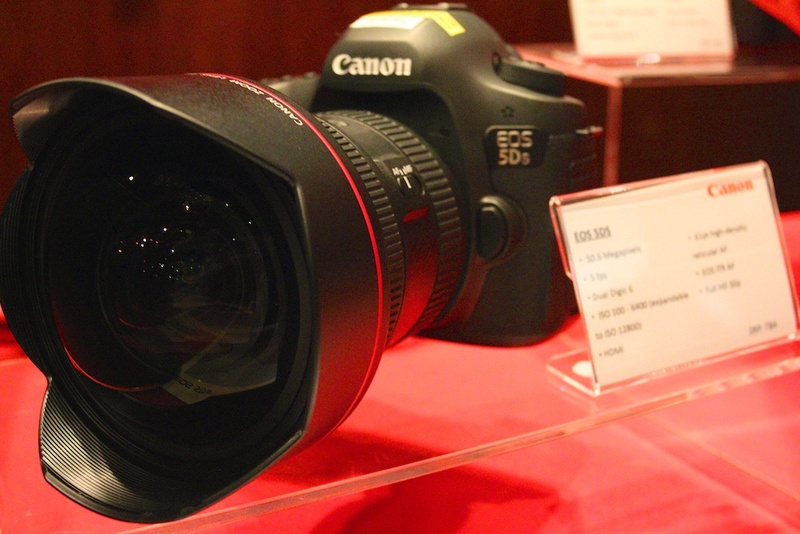 I was at the launch of Canon’s many new products for 2015. I would be sharing on the Canon EOS 5DS R and EOS 5DS, their products specifications, key features and my personal thoughts/views on the Canon EOS 5DS R and EOS 5DS. Solid and sturdy feel of the 2 DSLR camera bodies. 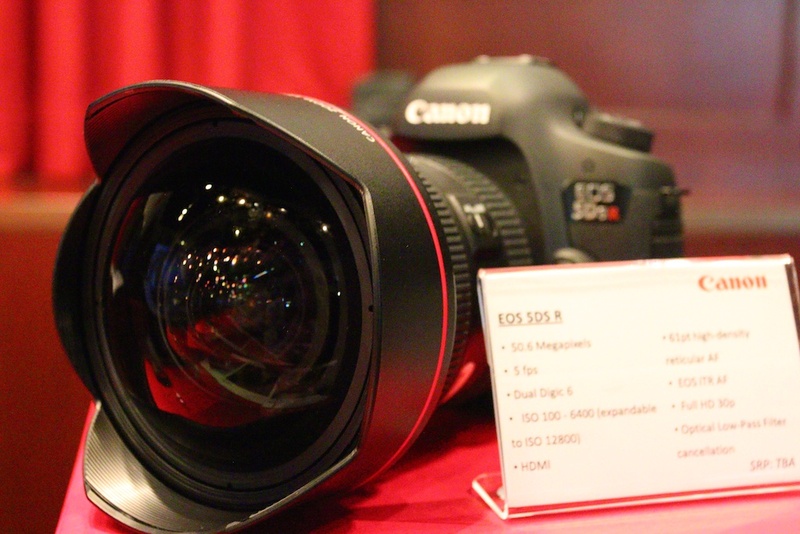 50.6-megapixels ~ highest resolution till date for Canon’s range of DSLR cameras; this would really suit photographers (commercial/landscape) who need the high resolution. Optical Low-Pass Filter cancellation (LPF) inside the Canon EOS 5DS R, I think this would be highly desired/wanted by landscape photographers. One of the few cameras in the market that has this capability. Very strong combination of Canon’s full frame DSLR with wide angle lens ~ The Canon EOS 5DS R and EOS 5DS 35mm full frame 50.6-megapixels sensor equipped with Canon’s excellent wide angle lenses in their EF lenses family line up (e.g. EF 17-40mm f4 L, EF 16-35 f4 L IS USM, EF 16-35 f2.8 II L USM) and the newly launched EF 11-24mm f4 L USM lens. With a 50.6-megapixel 35mm full-frame CMOS sensor, the EOS 5DSR and EOS 5DS have by far the highest resolution in Canon’s history of EOS cameras. At this sensor resolution, images that are dramatically trimmed or cropped will still retain optimum quality and details for print. When pixel count is increased, the effect of the camera-shake blurs risks becoming more apparent in an image. To counteract this, the EOS 5DSR and EOS 5DS feature a newly developed mirror vibration control system. Camera-shake blur will thus be reduced through the suppression of vibrations that occur during mirror motion. In addition to the former, the cameras are also built with a Release Time Lag Arbitrary setting that also mitigates camera-shake blur. This setting works to further reduce camera shake by starting exposure only after the mirror opens. Users are able to set the time lag release from 1/8th of a second up to 2 seconds. To meet the varied needs of users, a unique Custom Quick Control feature has been introduced in the EOS 5DSR and EOS 5DS. The Custom Quick Control screen is an easily accessible information screen for the user to customize their preferred settings. Settings such as aperture, shutter speed, shooting mode and focus mode can be toggled on and off for the screen to display only the most important information. The layout of the screen can also be customized for users to adjust the size and placement of the items, according to their preferences. Additionally, a time lapse movie function has been incorporated for users to capture a series of time lapse shots that will be automatically compiled into a movie. Exposure intervals can be set from 1 second to 99 hours, with the number of exposures ranging from 2 to 3,600. With this function, users can easily record plant growth, cloud patterns, crowd movement in cities and more. With the ability to take photos in ultra-high resolution, the EOS 5DSR and EOS 5DS produce images at a quality close to that of medium format cameras, along with several significant advantages. Both cameras are versatile, as their relatively superior AF and continuous shooting ability makes them adept at shooting both moving objects and still landscapes. Additionally, with Canon’s wide range of EF lenses available, users of the EOS 5DSR and EOS 5DS will be able to enjoy a wide variety of shooting perspectives. The EOS 5DSR and EOS 5DS are lighter and smaller in build as compared to medium format cameras, hence they provide more convenience and portability when shooting on-the-go. The cameras are also durable, with dust and water resistant qualities, similar to EOS 5D Mark III, especially when used in harsh terrains. With the combination of these added advantages, both cameras provide greater value at its price point and flexibility as compared to medium format cameras. Pricing and availability of the EOS 5DSR and EOS 5DS will be announced at a later date.